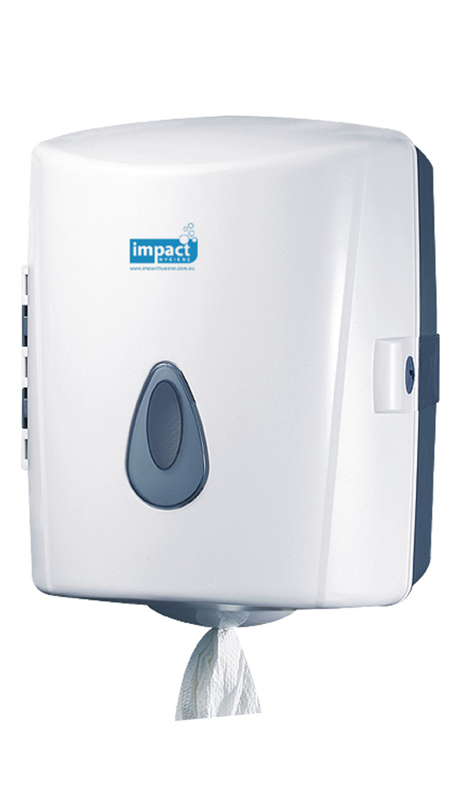 Centre pull wall mount, white hand towel dispenser. Modern and slim line. Install with Centre pull paper towel roll, paper diameter 19cm. Paper individually perforates after each leaf.